The Wilson family would like to wish you a warm welcome to Y Beudy Bach Holiday Cottage. Situated on a beef, sheep and free range chicken farm, the 300 year old converted cowshed is placed in an idyllic rural location, perfect for a short escape to the countryside. We are proud to offer family holidays where pets are welcome and during certain times of the farming season we invite you and your family to take part in some of the activities. This could include, bottle feeding lambs during March and April and rolling wool during shearing season, or instead take front row seats to witness other main farming events including harvest season. Local Services: The cottage is situated approximately 2 miles from Llanbister Road Railway Station (on the Heart of Wales railway line) and 4 miles from the local bus service. We are also situated 4 miles from local amenities in Llanbister or Llangunllo villages. Additional transport options can be arranged upon request prior to your stay. Our idyllic rural location is perfect for a family holiday. 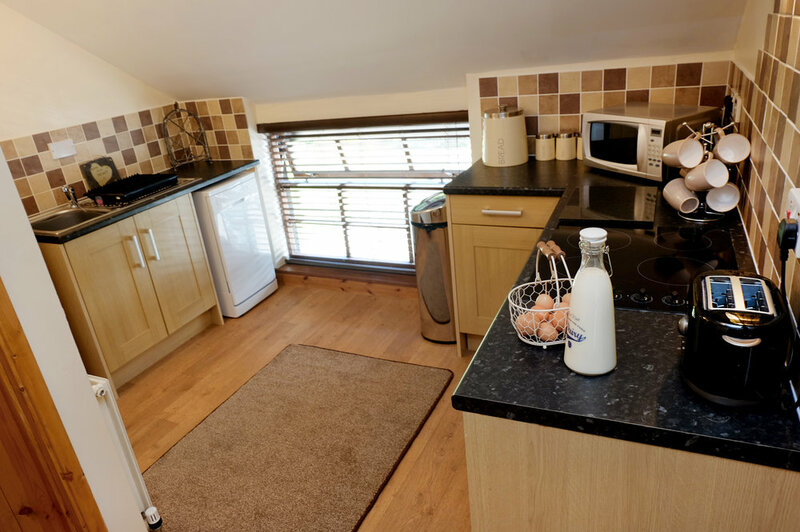 Our two bedrooms successfully mixing the traditional holiday cottage with fresh modern comfort and tones. Whether you are interested in walking, cycling, horse riding or just relaxing with a book, we have a surprising range of activities right on our doorstep.